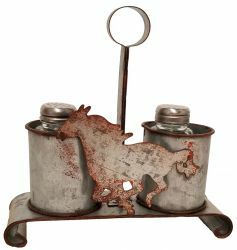 Galloping Horse Rustic Metal Salt and Pepper Carrier. 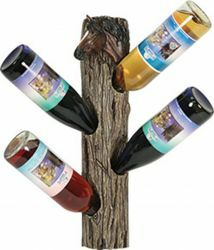 Horse 4 bottle wine holder. 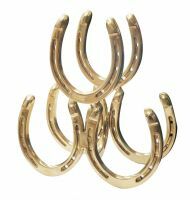 10.5" H x 9.5" W x 5" D Solid brass horse shoe wine bottle holder. 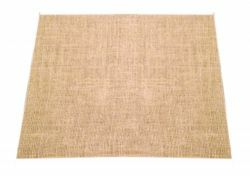 19.5" x 17" burlap square placemat. 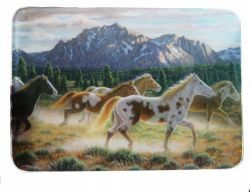 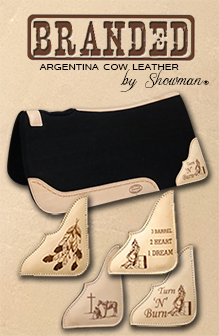 Tempered Glass cutting board w/ running horses.